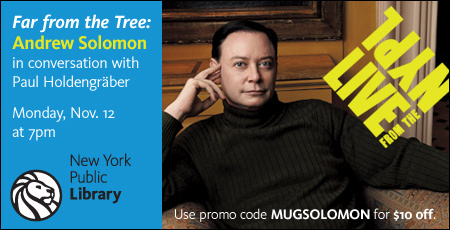 Celebrated author Andrew Solomon discusses Far From the Tree: Parents, Children and the Search for Identity, his most recent book about how families learn to deal with exceptional children and how they find courage in the face of heartbreaking prejudice and almost unimaginable physical, mental, and emotional difficulty. LIVE from the NYPL is made possible with generous support from Celeste Bartos, Mahnaz Ispahani Bartos and Adam Bartos, and the Margaret and Herman Sokol Public Education Endowment Fund. The Official Media Sponsor is New York Magazine.